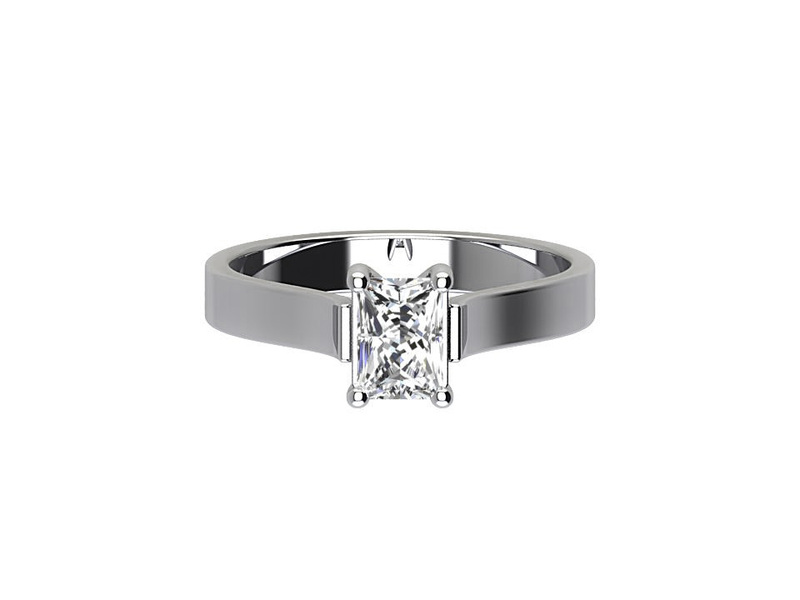 Beautiful Solitaire engagement ring in 18ct White Gold, with parallel shoulders four claw setting holding a 1.0 carat princess cut diamond. 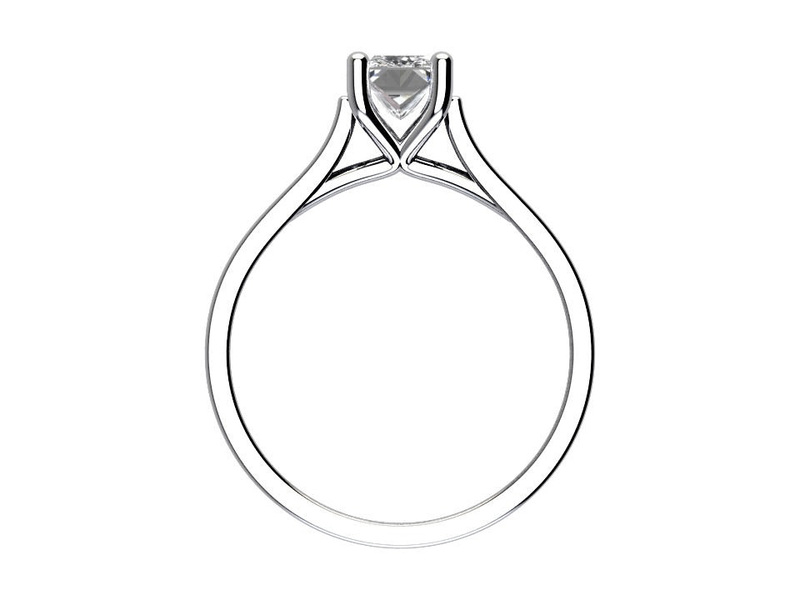 Diamond F colour and Si clarity.This ring is available in all precious metals and we can amend the centre diamond for all diamond sizes and qualities to suit your budget. We have access to over 375,000 certified diamonds from our network of international diamond brokers. 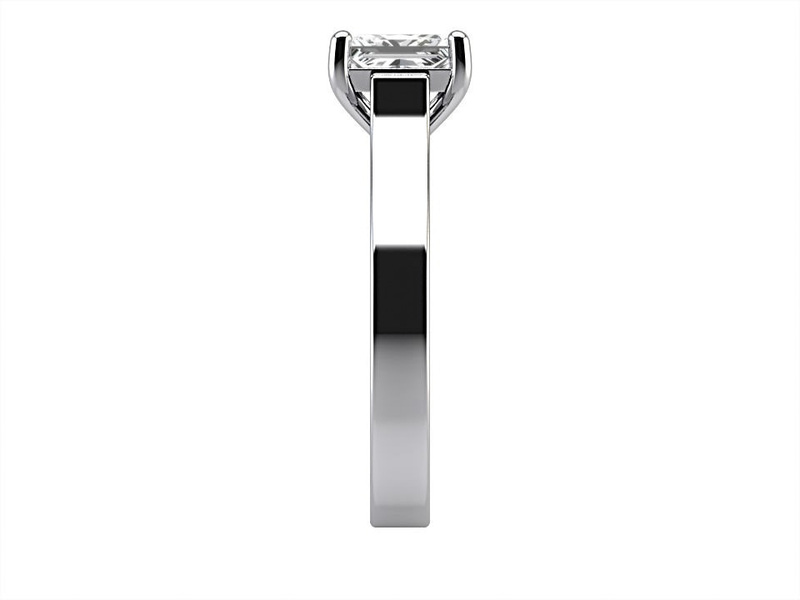 All our diamonds are certified by the three most reputable bodies ñ GIA, IGI Antwerp or HRD Antwerp. Please contact us to arrange an appointment to view our full range of diamond engagement rings in stock at our Dublin City Factory. We are located in the heart of Temple Bar and have over 1000 rings in stock for you to view.